Getting dental implants is one of the best decisions you can make for your smile – but it may not be an easy choice to make for some people. If you are not yet familiar about dental implants, and have a number of concerns about the cost and procedures involved, it is understandable for you to hesitate significantly before making the decision to have an implant treatment. Life Dental Implant’s founder, highly-experienced implant dentist Dr. Azhar Sheikh, will make sure that you have all the information you need, along with his notable gentle approach which has positively touched the lives of thousands of satisfied patients. At Life Dental Implants, we place a high importance giving you the best experience before, during, and after the actual implant treatment. Dr. Sheikh is well-known for his caring & gentle manner, which every patient experiences starting from the initial free consultation. He attentively listens to every patient’s concerns, and patiently explains all of the steps involved in an implant treatment. You will not be subjected to any form of hard selling – because Dr. Sheikh believes that you have the right to get all the information you need, and the time you require to reflect on the details of the treatment, so you can make the best decision for your missing teeth problems. We also offer flexible payment terms to help ease the worries you may have about paying for your dental implants. 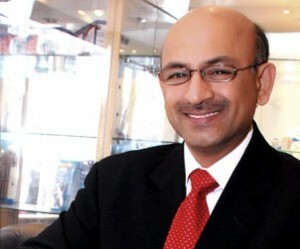 Experience the caring, gentle approach to treatments that Dr. Azhar Sheikh is well-known for. Call us now at 020 3239 3932 to book your free initial consultation at Life Dental Implants.